William J. Ray is a Professor of Psychology at Penn State University. He received his PhD from Vanderbilt University and was a Fellow in Medical Psychology at the University of California Medical Center in San Francisco. He received his undergraduate degree from Eckerd College, where he learned about the value of primary sources and the need to integrate information from a number of perspectives. As part of his clinical training, he has worked in a number of mental hospitals and clinics across the country, where he developed an appreciation of the experiences of those with mental disorders. In his career, he has served as a visiting professor and researcher at the University of Hawaii, Münster University, University of Rome, Tübingen University, and Konstanz University. At Penn State, he is currently the Director of the SCAN (Specialization in Cognitive and Affective Neuroscience) program and was previously the Director of the Clinical Psychology Program. His research has focused on approaching clinical questions from a neuroscience perspective. He has used psychophysiological and brain imaging techniques such as EEG, MEG, DTI, and fMRI to study emotionality, psychopathology, and individual differences. These studies can be found in numerous articles, book chapters, and books. 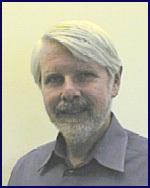 His work has been published in such journals as Science, Proceedings of the National Academy of Sciences, Journal of Neuroscience, Psychophysiology, Physiological Reviews, Journal of Personality and Social Psychology, Developmental Psychology, Journal of Abnormal Psychology, Cognitive Brain Research, Biological Psychology, NeuroImage, and Clinical Neurophysiology. This work has been funded by both national and international agencies including NIH, NIMH, NASA, NATO, and the DAAD. In addition to research, teaching has been an important part of his career. His textbooks include Methods Toward a Psychology of Behavior and Experience, Psychophysiological Methods (with Robert Stern & Karen Quigley), and Evolutionary Psychology: Neuroscience Perspectives Concerning Human Behavior and Experience.